This book provides an alternative, complementary approach to the existing conventional approaches to religious and spiritually oriented coping. By focusing on the role of culture, the authors take into account the methods employed by a vast number of people who do not directly identify themselves as religious. The empirical data used in this book derive from studies conducted in several countries; Sweden, China, South Korea, Turkey and Malaysia, across which religion plays a different role in the social and cultural life of individuals. This approach and these empirical data are unique and allow comparisons to be made between different cultural settings. By introducing the concept of meaning-making coping, the authors explore the influence of culture on choice of coping methods, be they purely religious, spiritual or existential. The term "existential meaning-making coping" is used to describe coping methods that are related to existential questions; these methods include religious, spiritual and existential coping methods. 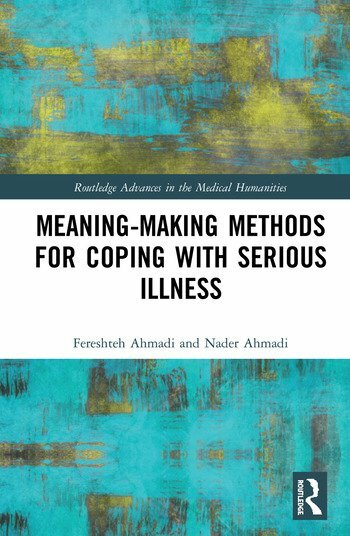 Meaning-making Methods for Coping with Serious Illness contributes to new approaches and theoretical models of coping. As such it is an invaluable resource for health care, medical, public health and sociology students and researchers. It will also be of interest to educators and policy-makers working in the area of health. Fereshteh Ahmadi, PhD, Full Professor of Sociology, Faculty of Health and Occupational Studies, University of Gävle, Sweden. Professor Ahmadi is presently specializing in issues related to health, religion and spirituality. In addition, she has conducted research on gerontology, international migration, Islamic Feminism and Music and Coping at Uppsala University. She is responsible for a research on Diversity Barometer. She is also responsible for an international project on Meaning-Making Coping. The project involves researchers from Sweden, South Korea, China, Japan, Malaysia, Philippines, Brazil, Turkey and Iran. Nader Ahmadi, PhD, Full Professor of Sociology and pro vice-chancellor of the University of Gävle, Sweden. His research has mainly focused on areas such as welfare and social policy, international social work, identity and youth problems, coping strategies among cancer patients, socio-cultural perceptions of the self and gender roles. Professor Ahmadi has extensive experience of international research and development projects in more than 15 countries, from Eastern Europe to Central and South-East Asia. He has been a consultant for UNICEF, the UN, the World Bank, and the European Union.